Fragmented sleep during the night, waking up feeling miserable in the morning, complaints from a bed partner or roommate – these are frequent experiences for snorers. Snoring is a common problem affecting 90 million adults in the US alone. Besides being a nuisance for bed partners, it can result in poor sleep quality and long grueling days for everyone. Habitual snoring is often a sign of an underlying issue such as obstructive sleep apnea, so be sure to get medical help. You may also be at risk for life-threatening issues such as heart problems, stroke, and hypertension. Snoring happens when air flowing through your mouth and nose is obstructed. As you breathe, the tissues in your throat vibrate resulting in a loud and annoying noise. Air movement can be obstructed for different reasons including issues with your nose, tongue, or mouth. Be sure to discuss with your doctor the pros and cons of specific snoring treatments. Some may be best used as a short-term remedy. For example, some other-the-counter and prescription treatments may lead to rebound issues or other side effects. You can learn more about decongestants and snoring here. For allergies, you may want to get help from an allergist. If they are able to identify the cause, you can manage your exposure by making changes to your environment such as using a mattress cover, keeping windows closed, or buying a high quality air filter. If it’s a specific food allergen such as peanuts, you can eliminate it from your diet. This is the most common cause of snoring. During sleep, the tongue relaxes, falls backward in the mouth, and obstructs the breathing passage. Mouthpieces can be used to keep the airway open. There’s a wide variety of mouth pieces available. Some you get online and form fit at home. Others are somewhat more expensive customized FDA-approved devices that you get through a dental sleep specialist. 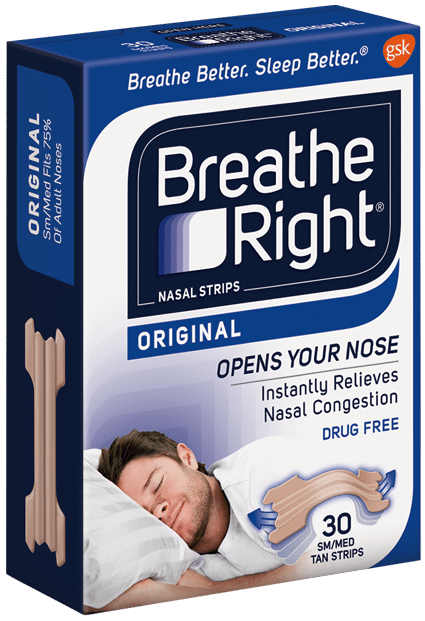 Breathing through your mouth instead of your nose can cause you to snore while you sleep. 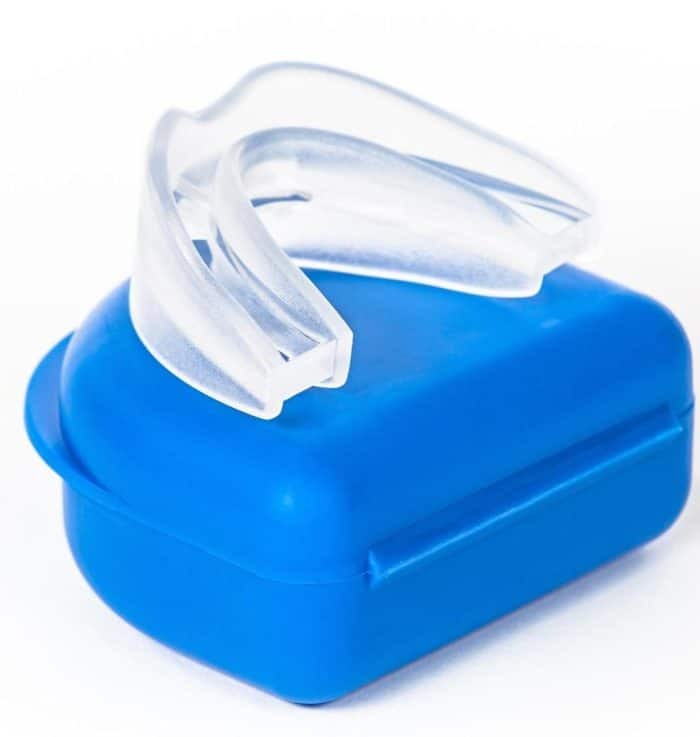 Mouthpieces and chin straps have both been used for open mouth snorers. Chin straps are a low cost and easy to use solution that works for some people. Others may find it uncomfortable or have trouble keeping it in place when they toss around during the night. For some individuals, being overtired can cause or worsen snoring. Developing healthier sleep habits may help. This includes maintaining a regular sleep routine in which you go to bed and wake up at the same time each day. You can learn more about sleep hygiene here. Sleeping on your back can cause snoring if the tongue falls backward in the mouth and obstruct your airway. Sleeping on your side may help prevent this. Alcohol relaxes muscles in the throat which can increase your risk of snoring. You may need to reduce your alcohol consumption and avoid drinking in the evening. Any meds that relax the muscles in your throat and airway can make snoring worse. This includes sedatives and muscle relaxants used for other conditions. Ask your doctor about your options. Excess body weight has been linked to snoring. The excess fat in the throat and neck can narrow the airway and affect your breathing. People who are overweight are at increased risk for breathing disorders such as sleep apnea. While a diet may not help everyone, it may do the trick if your snoring started after you gained weight. 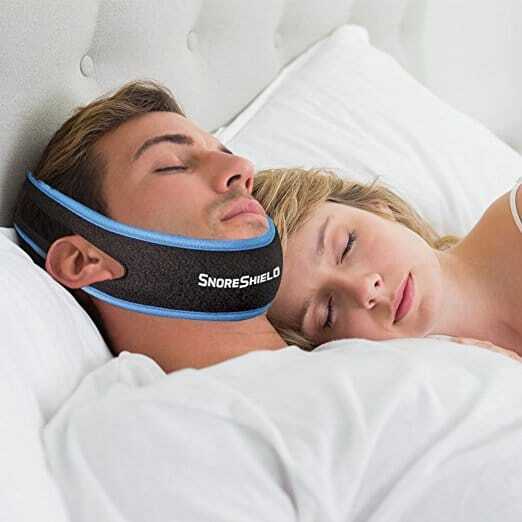 These pillows are designed to prevent snoring by realigning your head and neck so that your throat airways are widened. They may be most effective for mild snoring. If your snoring is mainly due to nasal congestion, running a humidifier in your bedroom may help improve air movement through your nose. Continuous positive airway pressure (CPAP) may help with your snoring particularly if you have sleep apnea. A CPAP machine blows room air into your airway which can help keep the back of the throat from collapsing. Learn more about CPAP treatment here. For rare cases, when other snoring treatments fail, surgery is used to tighten and trim the tissues in your airway. However, it may not completely cure your snoring. The surgery may be done using a scalpel, laser, or microwave. Learn more about surgical options here.